I presented 3 workshops on Social Media for Dentists at Yankee Dental Congress 2014 in Boston, where I met Joanna Stepka, who was at my workshop to learn more about how to use social media for her husband’s dental practice. Like most people in the workshop, she had a smartphone, but, unlike many people there, she was using it to tweet during the workshop. 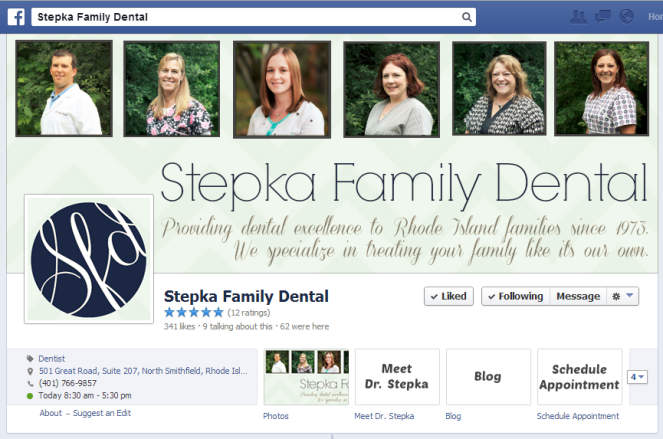 Impressed that she was live-tweeting during the workshop, I looked at the online presence of Stepka Family Dental after the workshop. Here is my 5 minute makeover. Next Post Suicide Prevention “Street Tweeters” from Toronto’s “Real Time Crisis” tonight on SPSM chat.